My parents took our family and my sister's family to Hawaii over Thanksgiving. One of my top priorities for the trip? 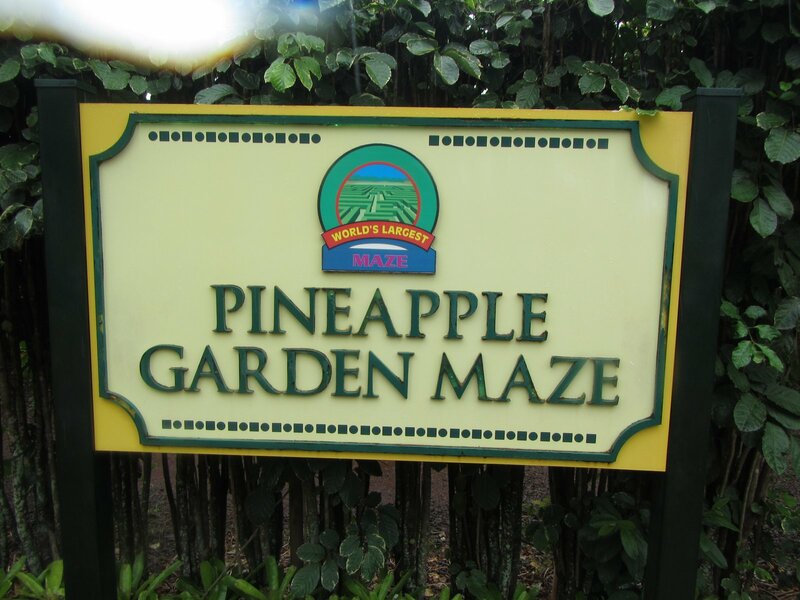 To visit the Dole Pineapple Plantation to tackle the World's Largest Maze. 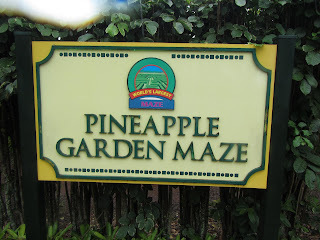 I've been to the Dole Plantation a few times before and have always wanted to do the maze, but I've never had enough time. During this visit, with a full week on Oahu, we had plenty of time to dedicate a few hours to the maze. Unfortunately, it started raining right when we got there. We ordered Dole Whips and watched the indoor pineapple demonstrations, hoping the rain would end. The rain didn't stop, but fortunately it was a warm rain. 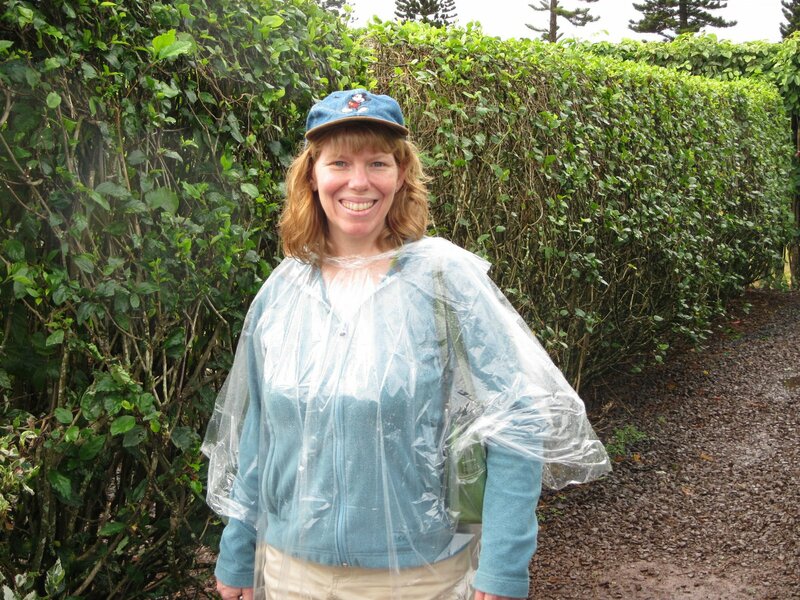 We put on hats and ponchos and set out to conquer the maze. The maze stretches over 3 acres and has 2.5 miles of paths. There are 8 stations throughout the maze that you need to find. Each station has a stencil to mark your ticket with the secret object hidden there. We were given this map to follow. The stations are little red dots. Even with the map, it was a very challenging maze. The rain didn't help, as there were some large puddles to navigate. The rain also brought out some super-sized snails. You would NOT want to step on one. The maze itself is really cool. It's made up of 14,000 individual Hawaiian plants. Some were very tall. In those sections, the paths were very narrow. The shorter the plant, the wider the path. Here is the whole group (us plus my parents, sister, brother-in-law and nephew) in the center pineapple section. Since it was late November, most of the plants weren't in bloom, but we did see an occasional flower here and there. I bet it's spectacular in spring. There is a time stamp at the beginning and end of the maze. There are prizes for the fastest finishers (not us). But we did pretty well, especially considering the weather: we found all 8 stations and finished the maze in 1 hour 3 minutes. I went there but didn't try the maze! It looked too time consuming and we just didn't have the time! But considering how frustrated I got navigating the maze we have at our local Pumpkin Patch, my thoughts are I'm glad I didn't do it! LOL! But you guys look ike you had a great time, even w/ the rain! And good for you acheiving another goal! Yay! BTW Pineapple is my favorite fruit and those Dole Whips are the best!!! What a wonderful vacation!! And I loveeeeeeee the photos!! The maze sounds like FUN!! What a wonderful adventure! I love that you braved the rain anyway. Sounds like a terrific vacation. It is so fun that you finally got to do that. I really enjoyed the pics.